Original to the Rudisill oyster supper, this classic combo makes for a memorable meal. Combine ¼ cup cracker crumbs and ¼ cup melted butter in a shallow, greased baking dish. Spread evenly in a thin layer. Cover with half of the oysters, and season to taste. Make a second layer of cracker crumbs and melted butter. 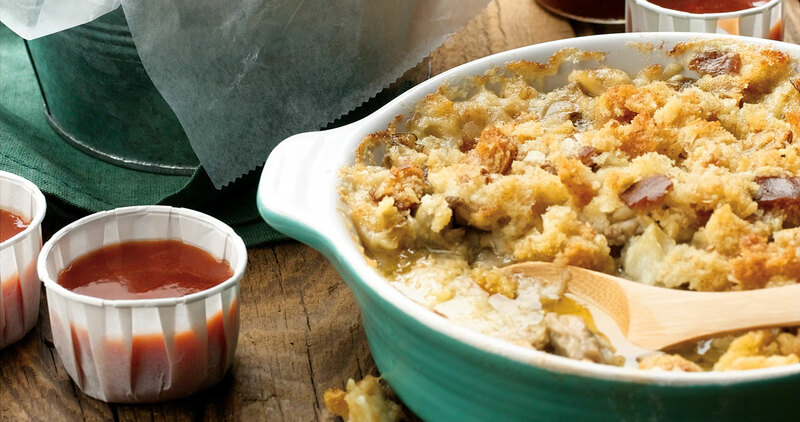 Cover with remaining oysters, season, and top with bread crumbs. Moisten with oyster liquor. Bake, uncovered, at 350° for 30 minutes. Combine ingredients, and refrigerate. Serve chilled. Pour over oysters or on the side.